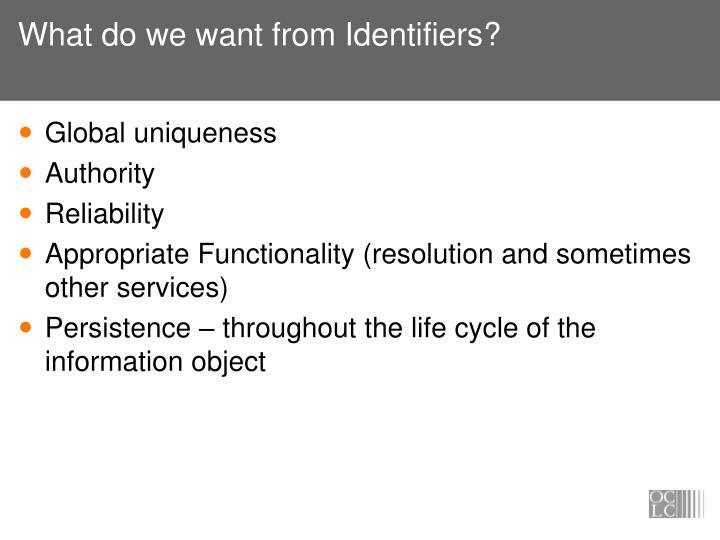 What do we want from Identifiers? 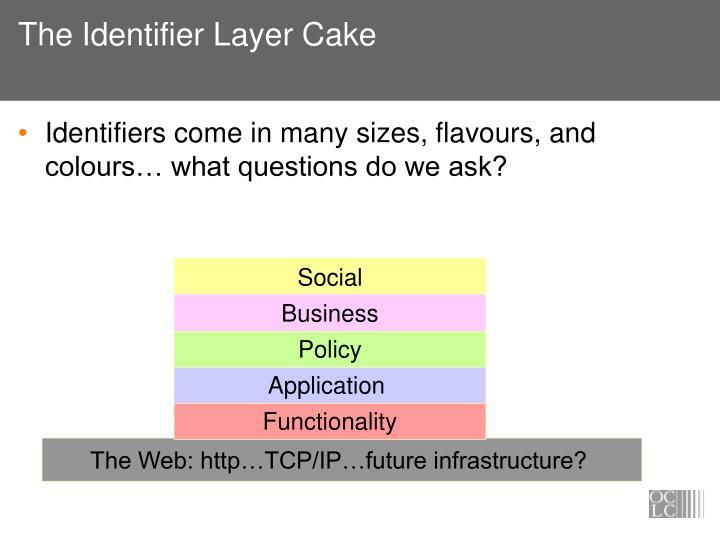 Identifiers come in many sizes, flavours, and colours… what questions do we ask? 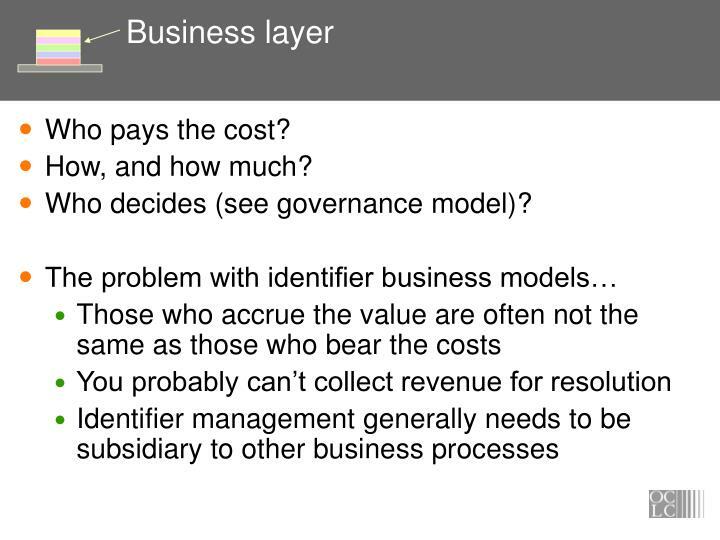 Who decides (see governance model)? 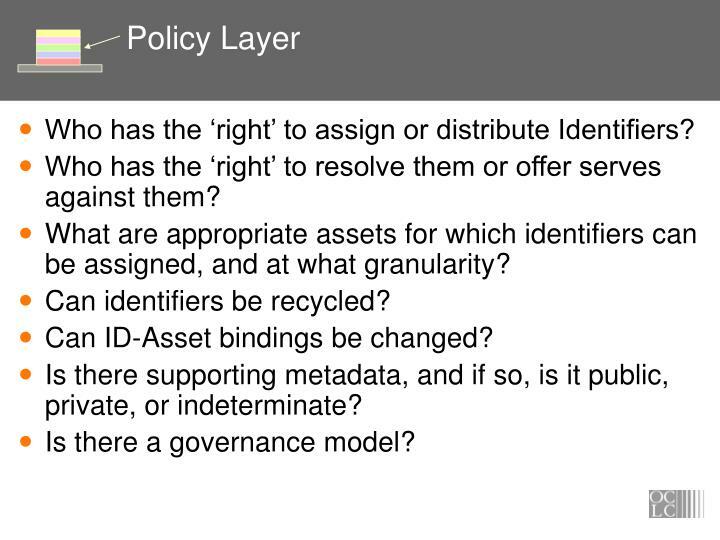 Who has the ‘right’ to assign or distribute Identifiers? Who has the ‘right’ to resolve them or offer serves against them? 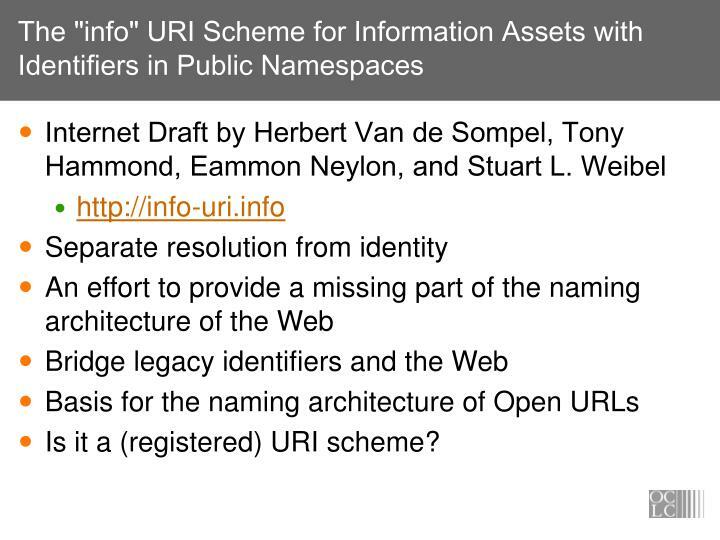 What are appropriate assets for which identifiers can be assigned, and at what granularity? 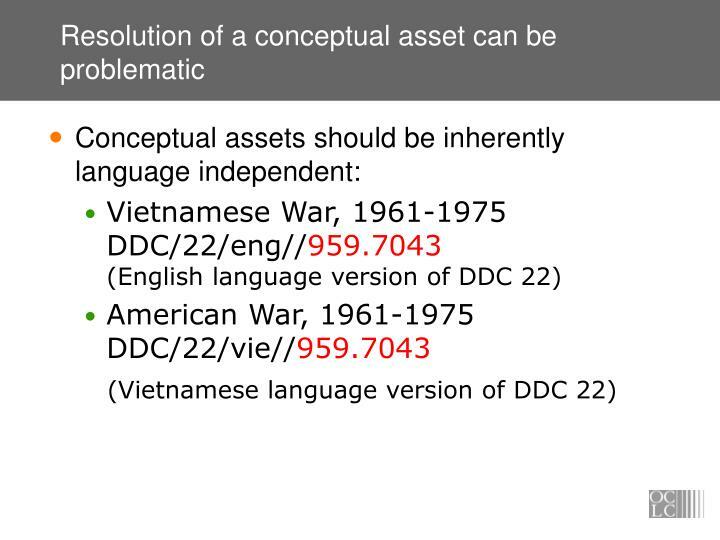 Can ID-Asset bindings be changed? 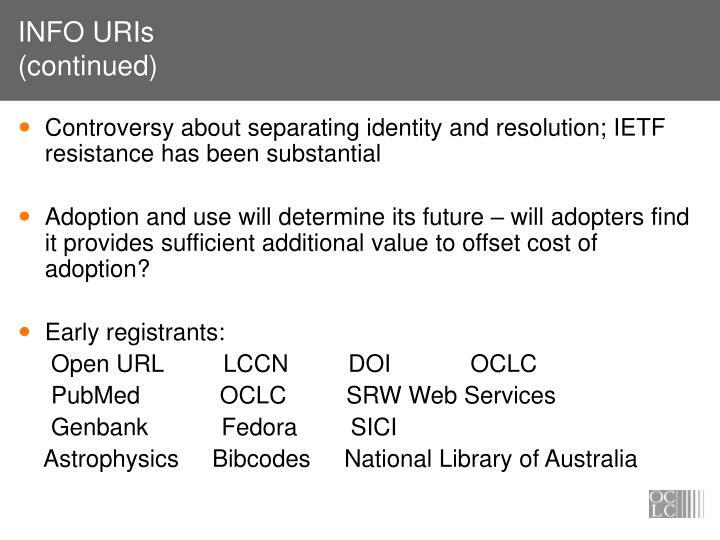 Is there supporting metadata, and if so, is it public, private, or indeterminate? 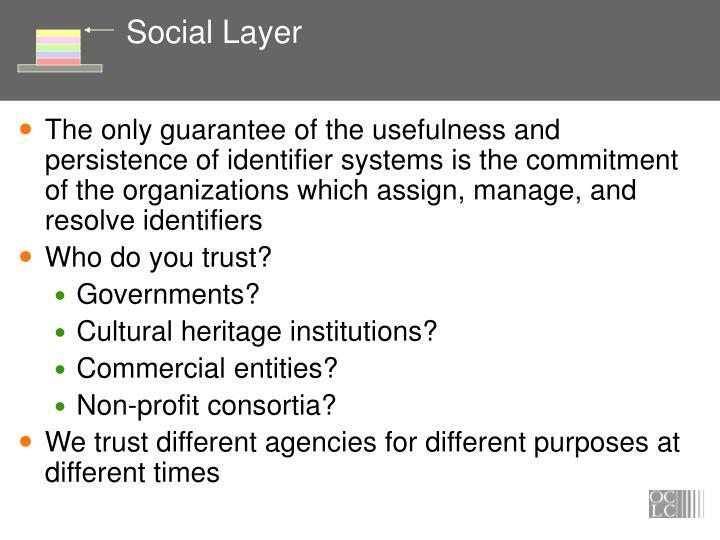 Is there a governance model? 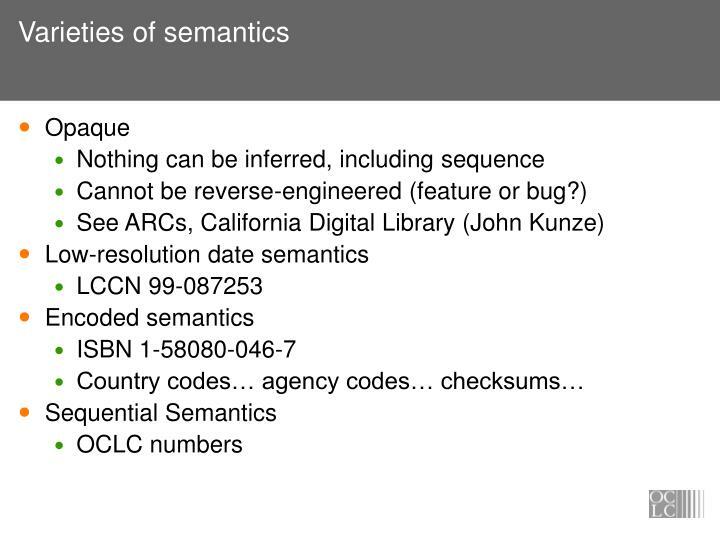 What underlying dependencies are assumed? 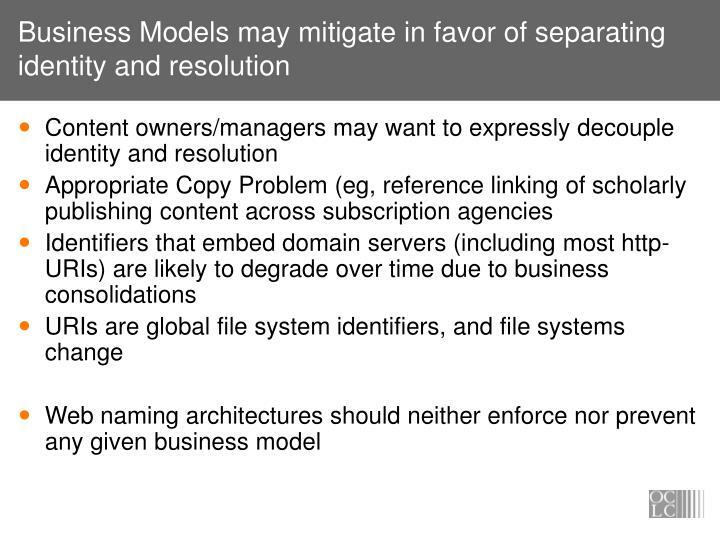 What is the nature of the systems that support assignment, maintenance, resolution of identifiers? Are servers centralized? federated? 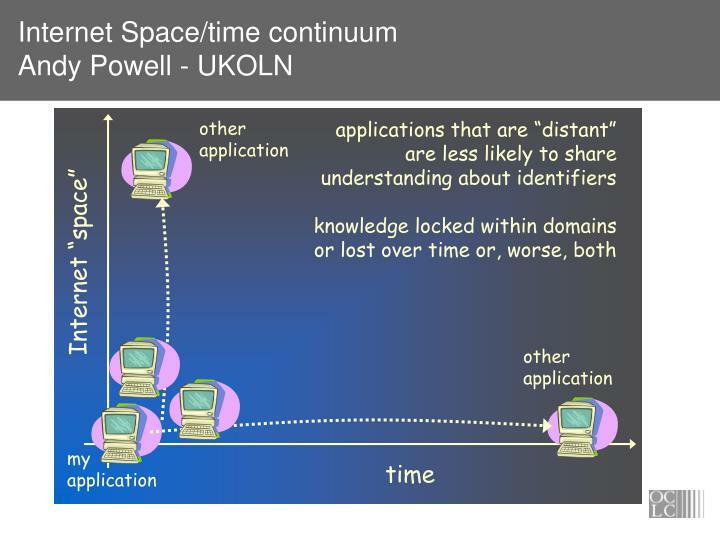 peer to peer? 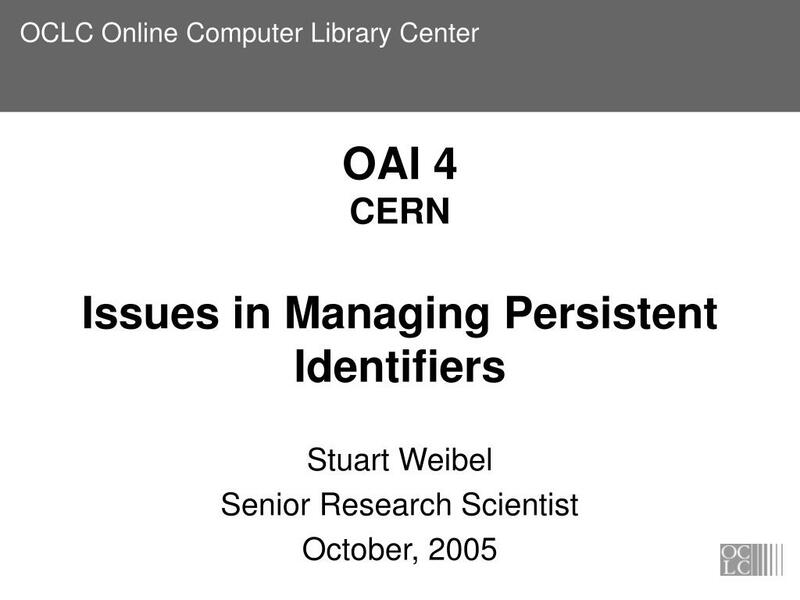 What is the means for matching persistence with the need? 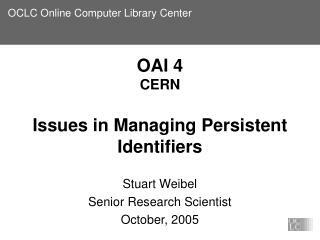 Can a given identifier be reassigned? Is it resolvable? To what? How does it ‘behave’? 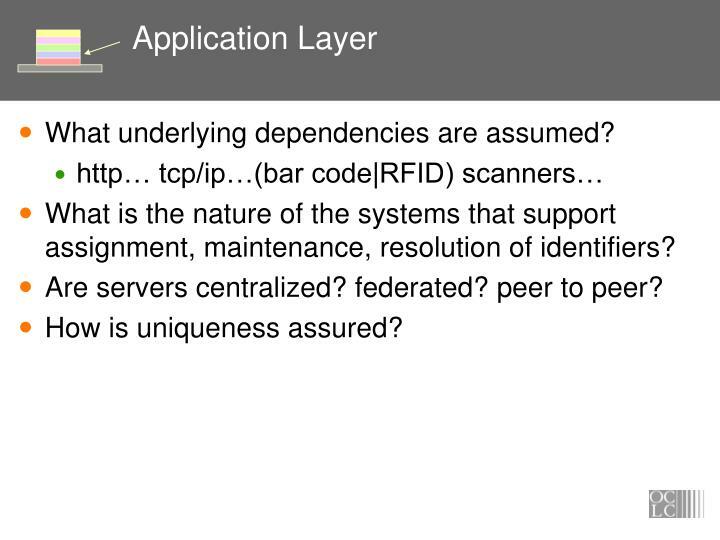 What applications recognize it and act on it appropriately? 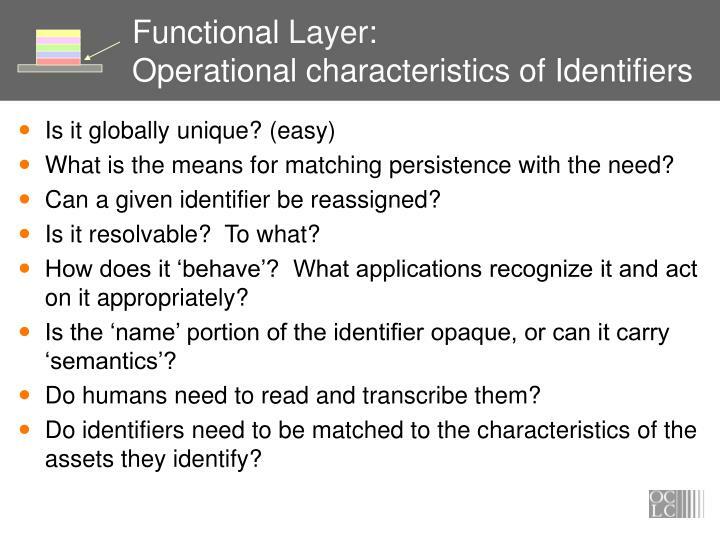 Is the ‘name’ portion of the identifier opaque, or can it carry ‘semantics’? Do humans need to read and transcribe them? 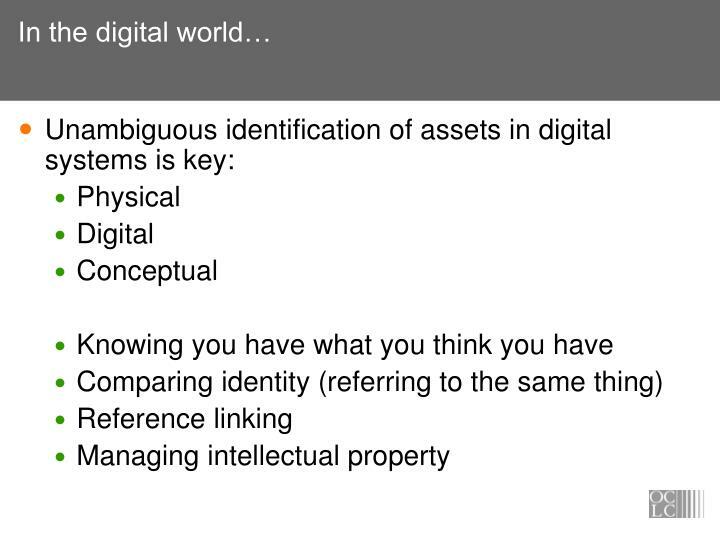 Do identifiers need to be matched to the characteristics of the assets they identify? 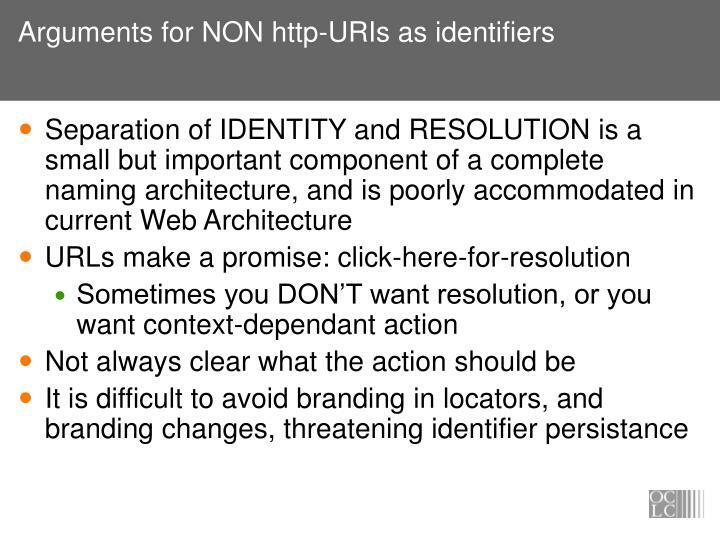 Must our identifiers be URIs (URLs, really)? 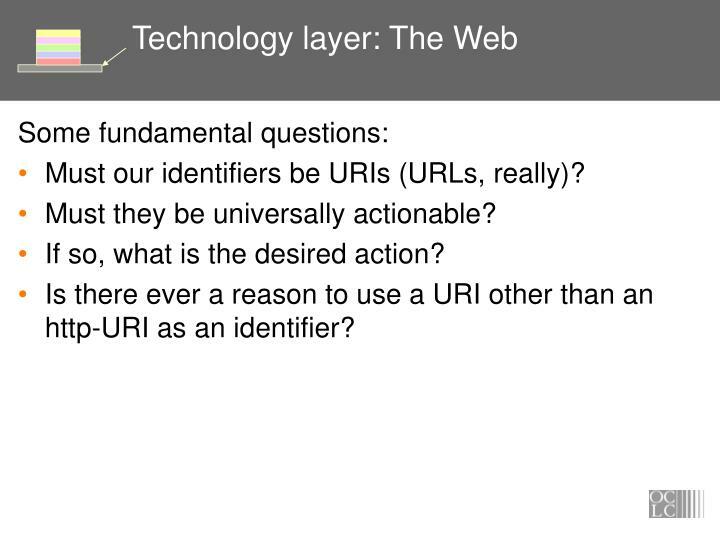 Must they be universally actionable? If so, what is the desired action? 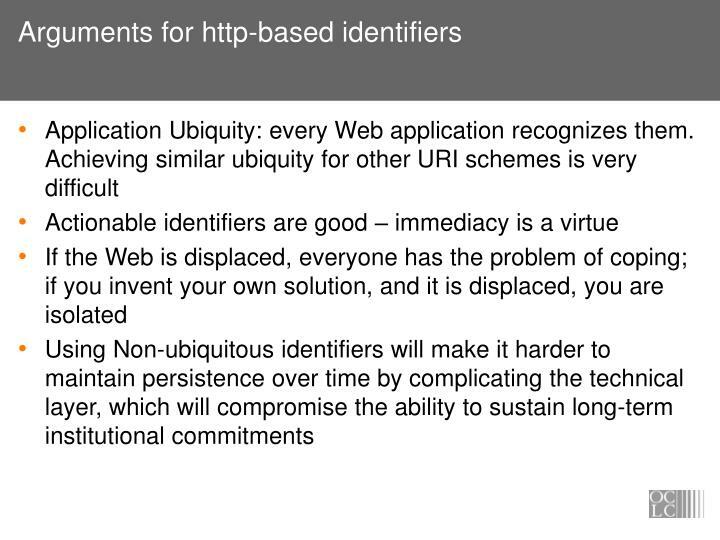 Is there ever a reason to use a URI other than an http-URI as an identifier? 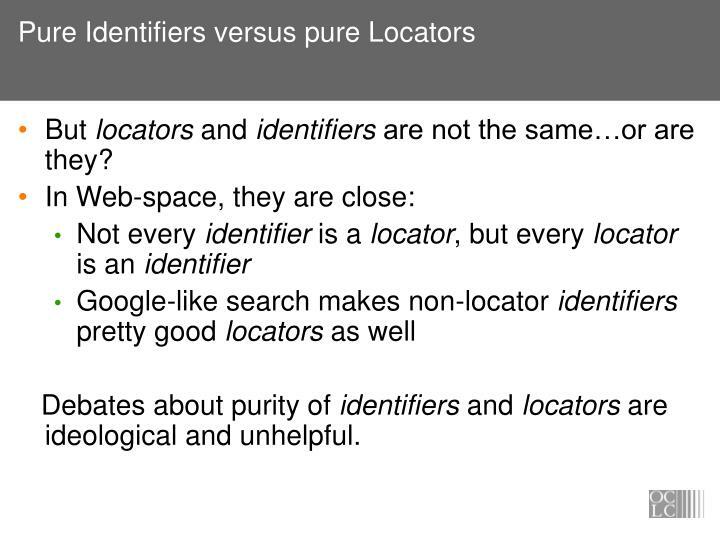 But locators and identifiers are not the same…or are they? 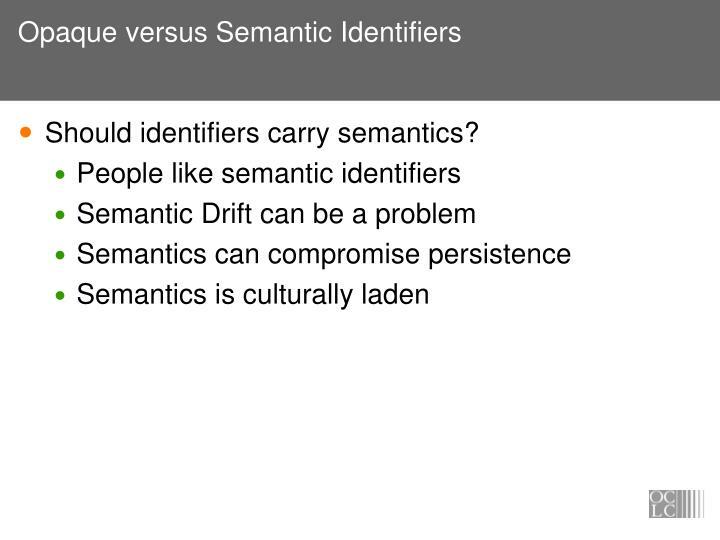 Debates about purity of identifiers and locators are ideological and unhelpful. But what can you really count on? 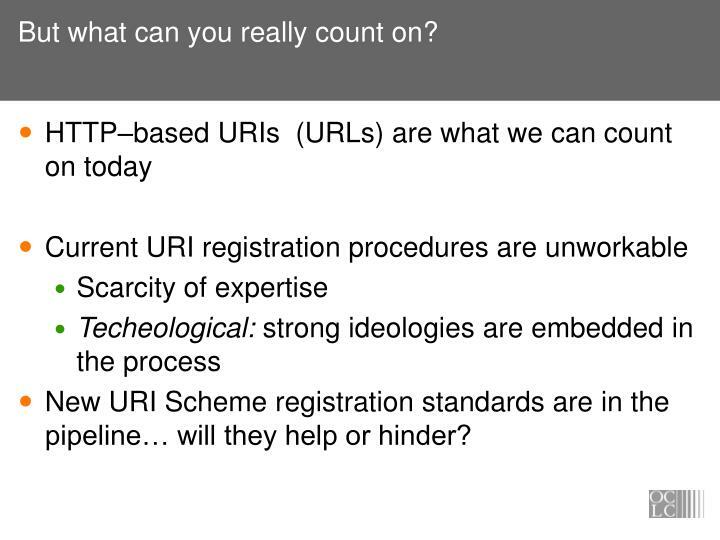 New URI Scheme registration standards are in the pipeline… will they help or hinder? Is it a (registered) URI scheme? 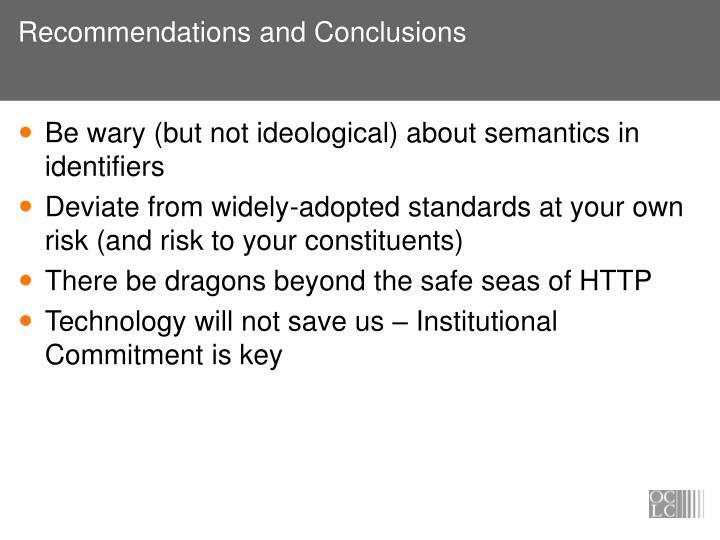 Adoption and use will determine its future – will adopters find it provides sufficient additional value to offset cost of adoption? 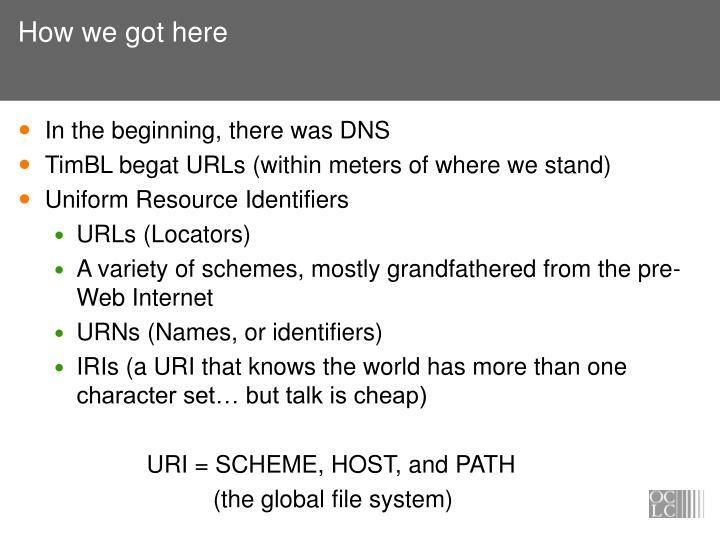 What does an “info” URI look like? 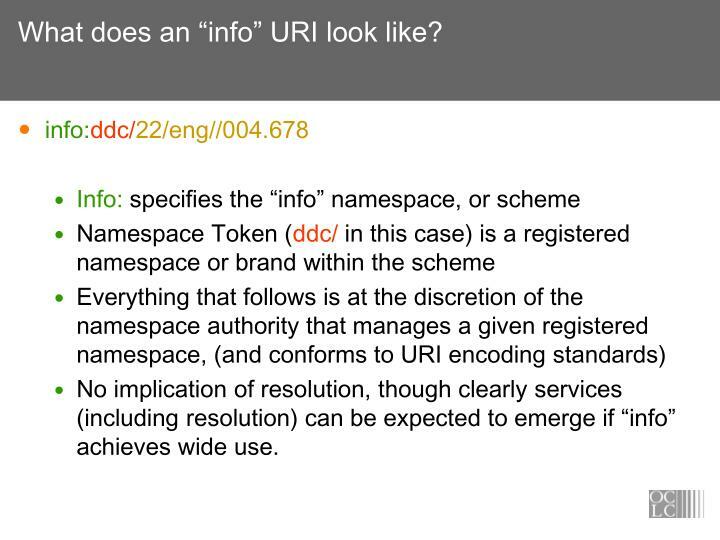 No implication of resolution, though clearly services (including resolution) can be expected to emerge if “info” achieves wide use. 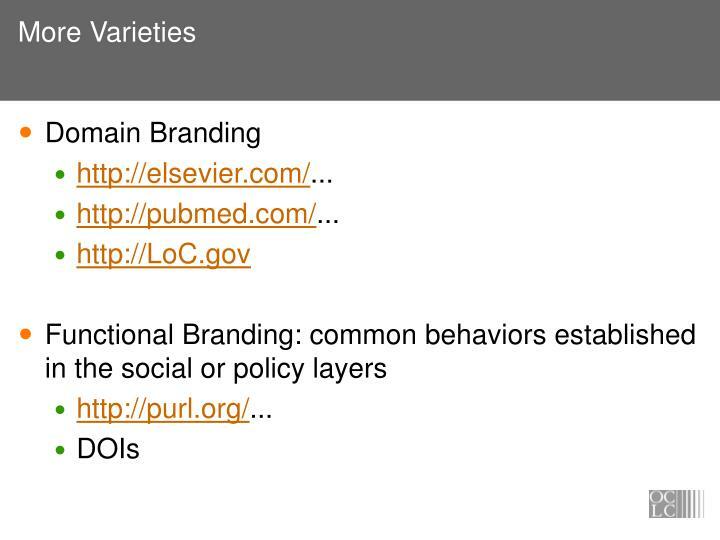 Which of these is a registered URI? 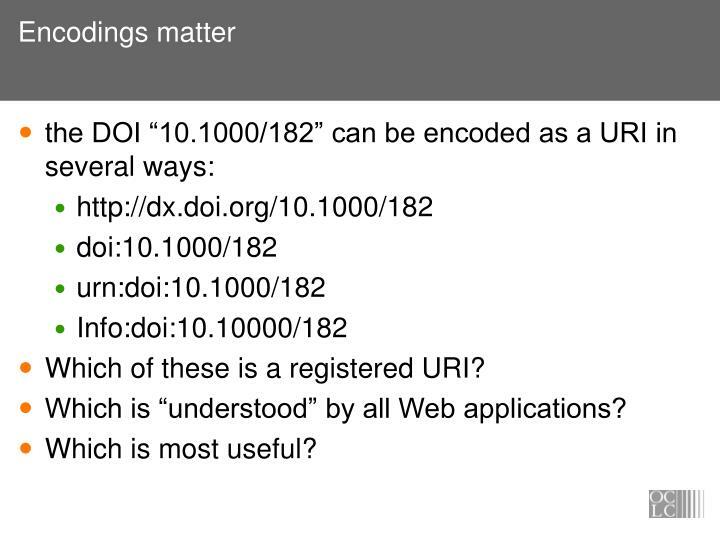 Which is “understood” by all Web applications?